More and more people are shouting ‘predators’ when discussing the decline of the Curlew. These include shooting estates, at least one game shooting MP, RSPB and BTO and any one who wants to jump on the ‘band wagon’ against especially birds of prey. When you look at the Curlew you begin to understand the reason why they have been driven from the lowlands together with our northern uplands; our modern day agricultural practices. This is something that wildlife organisations do not want to talk about, instead it is more important to foster good PR with the farming communities. The facts show clearly many lowland grasslands have been drained and turned into cereal fields. What remains of the grasslands comes under the heading ‘silage’. In 2016 one field in England was cut 5 TIMES in one season, making any potential curlew breeding impossible. Any nests that may have existed would be cut to bits, and if any chicks were reared they would destroyed under the blades of the mower. High up the fells again silage rules with ever more cattle wintered in sheds to be fed silage as the winter feed. So the only breeding Curlew to be found today in our modern times are more likely to be on open fell well away from the mowers. These are either rough fell grazed by cattle or sheep or Red Grouse moors. So is there another problem? YES, Even these areas are now contaminated with Ivermectin, a medication used to treat many types of parasite infestations. Recent work has shown stomach contents of Curlew, dating back to the 1950’s and 60’s, show that food eaten by Curlew then is not found on the fields and moors today. WHY Because these new chemicals used on both cattle and sheep kill 147 days after the dung comes out of the stock. Dung Beetles are the worst hit with 20 species in the UK on the verge of extinction and many more now in low numbers because of this contamination. Ian Newton’s famous book ‘Farming and Birds’ claims that breeding waders rely on dung for 80% of their insect food intake. So if so much of this food is killed what are adults and especially chicks now feeding on? Why do we not see the great conservation organisations jumping up and down regarding these facts? Is it because it is too easy to claim predators are to blame? 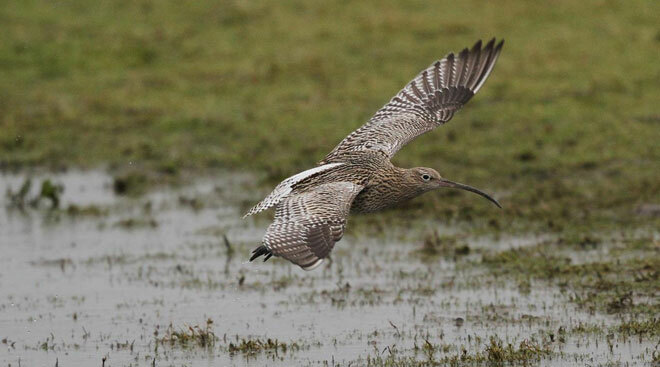 Remember this loss of food also effects the whole food chain not just the Curlew. Badgers and Foxes love the dung beetle lava. Even Black Grouse feed on this or used to do. Are we missing a major point about our wildlife? It is the whole ecosystem that is damaged not just one species namely the Curlew. 2 comments to Why the Curlew is in decline on our uplands, and it has little if anything to do with predation by raptors. Our whole ecosystem is indeed damaged,possibly beyond repair. the meagre and declining populations of struggling species. meals for Crows and Foxes. Providing incentives to landowners for these habitat improvements is a waste of taxpayers money, if there is no discernable improvement in production of fledged young. precious waders every chance to reproduce successfully. Trapit – this lifeline you talk about is just a pointless waste of life; you would need to wipe out entire, localised predator populations (which includes hedgehogs) at a constant rate, otherwise one predator will be replaced by another. The root cause is agricultural practices and anything less than addressing that is simply deception, as the article points out.